The forum focussed on the theme: “The emergence of an African Middle Class: Conditions, Issues and Challenges”. President Jacob Zuma attended the Forbes Africa Forum on Tuesday, 23 July 2013, in Brazzaville, Republic of Congo, at the invitation of President Denis Sassou-N’Guesso. The forum is a platform to exchange views and experiences, and aims to bring together economic and political decision-makers from around the world, who share the same interest in Africa and its economic and social development. The forum also included a number of panel discussions related to Africa’s economic development, investment and infrastructure opportunities, as well as employment and growth opportunities. President Zuma used the opportunity to discuss with President Sassou-N'Guesso issues related to strengthening bilateral relations between the two countries, and also on matters of peace and security in the Central African region. For more information on the forum, go to: www.forumforbesafrique.com. The Department of International Relations and Cooperation, in collaboration with the Nelson Mandela Centre of Memory and the Airports Company South Africa, hosted a Nelson Mandela Day event in Diepsloot, Gauteng, on 22 July 2013. The invitation was also extended to embassies and high commissions accredited to South Africa. About 50 ambassadors and high commissioners heeded the call to help a local school in the impoverished township. Computers, printers, books, stationery, shoes, paint and gardening tools were donated to the Diepsloot Combined School. The school managed to achieve a 97% Matric pass rate last year. The Minister of International Relations and Cooperation, Maite Nkoana-Mashabane, said sharing with the less fortunate was what Mandela stood for. President Jacob Zuma has thanked South Africans and the international community for the ongoing support and the display of love for former President Nelson Mandela on his special day. Thousands of people from around the world took time to roll up their sleeves and dedicated their time to helping the less fortunate in the spirit of the Nelson Mandela International Day. “This year has seen the biggest Madiba birthday celebration ever. We regard this exciting development as a fitting tribute to the triumph of the South African people against institutionalised racism, led by Madiba and many other illustrious freedom fighters,” President Zuma said. - Additional reporting from www.sanews.gov.za. South Africa's aid would help provide up to 22 months of food security for 227 000 children and pregnant and breastfeeding women in Lesotho. South Africa has secured a deal with the World Food Programme to buy maize from the country's smallholder farmers as part of an R180-million South African humanitarian donation to Lesotho, which is in the throes of a food crisis. Following Lesotho's recent request for international assistance, South Africa responded by announcing an R180-million donation. South African exports to Brazil reached around US$848,6 million in 2012, with the top exports being base materials, herbicides, vehicle engines and chemicals. South African products were well received by Brazilian importers, business associations and supermarkets during a five-day outward selling mission that ended in Sâo Paulo on 19 July 2013. It was the 23rd edition of the awards, and Euromoney judges had to choose between over 600 banks and brokerage houses by examining key performance indicators, financial ratios and innovations. South Africa's Standard Bank was named the best investment bank in Africa by international finance magazine Euromoney at the magazine's annual Awards for Excellence ceremony in London. It was also named best equity house and best risk manager on the continent. 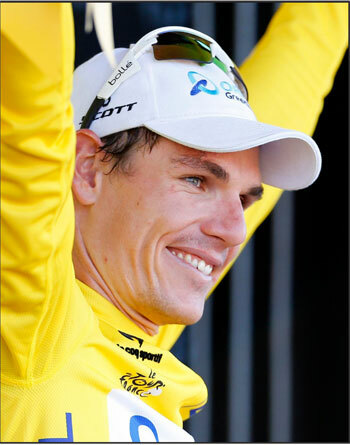 The 100th edition of the world's most famous cycle race, the Tour de France, which ended in Paris on 21 July 2013, had a distinctly African flavour to it, with Daryl Impey becoming the first South African to wear the yellow jersey, and overall winner Chris Froome having strong Kenyan and South African connections. Froome, born in Kenya, educated in South Africa and now a British citizen riding for a British team, became the first rider from Africa to win the race since its founding in 1903.